FDS: Okay, just a little background for people who don’t know Bela Lugosi too well, he played Dracula on stage in the 20s, and made the classic movie in 1931, became typecast, and spent the rest of his career trying to get out of being cast as the monster and mad doctors, and never really succeeded. His fate followed the fate of horror films. When horror films were in vogue he was a movie star, and when they weren’t, he had trouble finding any work at all. And that was the case in 1951, when horror was just out of fashion. He was 68, and in a failing health situation, 68, and he was looking for one more comeback to propel him through the last years of his life. He hoped he had found that in Britain when he was offered the lead role in a stage revival of “Dracula.” His hope was that it would get him to London’s West End, which was the equivalent to New York’s Broadway, and it would start the excitement all over again for him. And he went there and he was in Britain for 8 months, by far the longest time he was out of America ever since he came in the 1920s. And what he did there for those eight months has been pretty much a mystery. The half-dozen or so Lugosi biographies and magazine articles, the videos, etc., either don’t mention it at all, gloss over it, or what they say is, quite frankly, incorrect, because some incorrect facts became the seed of a legend which just builds on itself that the tour was a failure that it closed after a few performances, etc., etc. So, when Andi Brooks and I set out to research this, we said, “Well, eight months is a long time, let’s find out what he did,” and we found a lot more than we ever thought we’d find. We found a lot more than has ever been reported, and that’s what’s in our book. CH: And you met Andi, how? FDS: I’ve never met Andi. Ours is an e-mail, Internet relationship. Andi started to research purely out of curiosity, because Andi lives in England, and knew that Lugosi had been there 3 times, and just started researching mainly out of curiosity, for his own sake. And he put some ads in magazines and wrote letters, whatever, and I saw one of those in 1995 when I was living in Texas at the time, and I’ve always been a fan of Lugosi, so I was sitting on a lot of unique information, etc., that I had gathered through the years, so I just xeroxed it and sent it to him. And, as the fates would have it, I ended up moving to Scotland. I work for an oil company, so I move around a bit with my job, and I wound up living there. So sometime around 1996, we joined forces and said, “Let’s do this methodically and track down every fact and every person we can.” And about 1998, the book started getting written. And now it’s finished. CH: Alright, so you and Andi had never written a book before. FDS: No, we had never done anything jointly before. We’ve… I’ve written articles on old horror movies, mainly for “Cult Movies” and a couple other places. CH: So, how did you come to be interested originally in Bela Lugosi and his life, and come across all this information? FDS: Well, I think Andi’s tale is the same as mine, though I don’t know Andi’s end of it, but mine is, you get hooked on Lugosi when you’re about 8, 10, 12 years old, and he never lets go for some of us. And that comes out in the book, because a lot of his fans when he was appearing around Britain were young boys, 12, 14 years old who had seen his movies, and waited at stage doors, etc., and met him. This was Andi’s part of the research. Andi did the tracking down of people who had been to the shows and what their memories were. We located, oh, quite a few people that had met Lugosi at the stage door, a few of the boys who were now in their 60s or above, got backstage to meet him, etc., etc. So, I got hooked, and that’s how they got hooked, and that’s how most Lugosi people got hooked. CH: Other than the fact that his run was unsuccessful, are there any other misconceptions you want to dispel about the man? FDS: Let me just say that the misconception about 1951 is that the tour, he got there, the tour was badly organized, amateur actors, etc., delays in opening, closed right away, and that he was stranded there. Actually, quite the opposite. He arrived on April 11th for two weeks of rehearsals, they opened on schedule April 30th, and they played for six months, all over Britain. The failure of the tour was that it was designed, it was intended to get to the West End. They couldn’t make money without getting to the West End. They never could find a slot there. The inference of that is the times were against them. Horror was out, old melodramas were out. FDS: Science Fiction was in. Science Fiction really hadn’t reached Britain yet, but the trend toward the modern was in. If you look in the old yearbooks, the plays of the day were modern dramas. They weren’t going for the more sentimental things, etc. CH: He was also in Ireland for a while, according to the material Andi sent me. FDS: They traveled around. Most of what they did… Andi being English, and me living there, you realize that Britain is really four countries in one: England, Scotland, Wales, and Ireland. Most of the time, they were in England. They did a northern swing where they went through Scotland and played in Glasgow for a week, then over to Ireland where they played in Belfast for a week, and then back to England. So, most of their time was in England, but they did get Scotland and Northern Ireland. CH: Awesome. Bela made two films according to the Internet Movie Database while he was over there. One was a 50-minute shorter film called Lock Up Your Daughters, and the other was the one where he met the, uh, drag queen in Mother Riley Meets the Vampire, which is, incidentally, also titled Vampire Over London in the US. CH: Did you cover anything interesting about those? Did you actually get to see Mother Riley Meets the Vampire? FDS: Oh, yeah. Well, that’s not as hard as people might think, that’s a pretty easy video to get. Actually, let me qualify that. Vampire Over London is an easy video to get. Andi was able to get a hold of the original Mother Riley Meets the Vampire, which isn’t much different but the opening is different, and over the opening credits, Lugosi’s voice has got that demonic laughter which, in most American prints that I’ve seen, has been cut out. CH: And what do you know about Lock Up Your Daughters? FDS: It’s the phantom film of Lugosi’s filmography. Whether it was just a bunch of clippings or whether it actually had any unique footage of him, new footage of him, now is really unknown. He had two periods of slack time. One was for two weeks and one was for three weeks. He could have easily gotten to a studio and filmed that footage, because it couldn’t have taken him more than a day or two. But whether he did or not, I don’t know. All sightings of Lock Up Your Daughters come from Great Britain, so therefore one presumes that that’s where he might have made it, but the information is scant. I’m pretty sure the movie did exist, but what it was exactly, until we can see a print of it, we won’t know. As far as I know, no one knows where a print exists. Everything, I think it’s fair to say, that’s known about the movie is in our book somewhere. There’s an appendix in the book on Lugosi’s British films. We put in there, and basically collected all the information we found on it, and it’s mentioned in the context of when it was, if he did indeed film footage for it. Lock Up Your Daughters is basically a collection of his Monogram movies, clippings of it. Whether or not he narrated that, or did anything else, until we see the print, it’s just not known. CH: According to the material Andi sent me, you guys also cover Dark Eyes of London and Mystery of the Mary Celeste. FDS: Yeah, he was in Britain in 1935 for Mystery of the Mary Celeste, and in 1939 for Dark Eyes of London. Now, if there’s one mystery about Lugosi’s British output, it’s an original cut of Mystery of the Mary Celeste, which far as we know, doesn’t exist. The version that you get on video, the versions that are available, and I contacted Lugosi collectors around to see if anyone had an uncut one, is 62 minutes. The movie that was reviewed in the British trade journals in 1935 was 80 minutes. If you have a cut print of the movie, one of the videos you can buy in the US, if you watch the credits, there are members of the cast that never appear in the movie. And 3 scenes are described in the first reviews that are never seen in the movie. We were unable to find a print of that, and as far as I know, no one has one, and no one is known to exist. The cameraman and the continuity… girl from 1935, what they called the script girl, I guess I shouldn’t use that term now, were both alive in the 1990s when they were interviewed, so we had some unique information there. There was one memoir that was published in Britain by one of the actors in it, there were only a few hundred copies printed, we were able to track that down, and he talked about Lugosi a bit. And we found, in an archive, the director’s original concepts of the film, where he described details of scenes which he probably shot, which no one knows where they are now. We reproduced his notes on that in an appendix, so there’s a section in one of the appendices called “Mystery of the Mary Celeste: The Director’s Cut.” Here’s the movie the director wanted to make, which is 18 minutes longer than any other print of the movie that is known to exist. FDS: There’s more information in our book on Hamilton Deane’s life than has ever been published before. Deane has one heir, and that’s a nephew, who I believe just turned 80, and I went and visited him and his wife in central England, and they told me a lot of information about Deane. Of course, Deane and Lugosi met briefly in 1939, and when “Dracula” was bouncing around in England in 1951, Deane was living just outside of London, collecting his royalties on the performance. So, Deane pops up in our story, as we go through Lugosi’s visit to England. He’s an obscure figure, and only real “Dracula” loyalists care to know more about him, but there’s more in our book than has ever been published before. CH: Well, thank you very much. Hamilton Deane is certainly a big name. Thank you very much for your time. The book comes out October 1st, am I correct? FDS: The official release is on October 20th, which is Lugosi’s birthday. We’re hoping to have copies October 1st. You know, when you’re in the small publishing business, controlling dates [is difficult]. But it’s going to be on or around October 1st. Truer words were never spoken by the Hungarian actor. The irony was, by 1951, the heart of Lugosi’s career had been pierced with a far sharper stake than Dracula ever endured. When I was a child, the three kings of horror films were Boris Karloff, who played the monster in “Frankenstein,” Lon Chaney Jr., the wolf man, and Lugosi’s “Dracula” vampire. What a treat it was to discover their films — on the local independent TV station — past midnight or on a Saturday morning. Chaney Jr.’s wolf man has faded in memories, as far scarier versions have been found in London and Hogwarts. Karloff’s monster is still recognized. But the screen monster who resides longest in our nightmares remains Lugosi’s vampire. Imitators such as Christopher Lee, John Carradine, Frank Langella and Gary Oldman are quickly forgotten. We always return to the Hungarian. Today is Lugosi’s birthday, in the heart of the Halloween season. He has been dead 50 years. When he died he was a destitute, recovering drug addict. His last real screen role was as a bit player — a mute to be pitied in a barrel-scraping horror film. TV rescued the legacy of “Dracula.” Whether it was on “Thriller Theater” or “Creature Features,” millions of “monster boomer” kids discovered the Universal monsters. 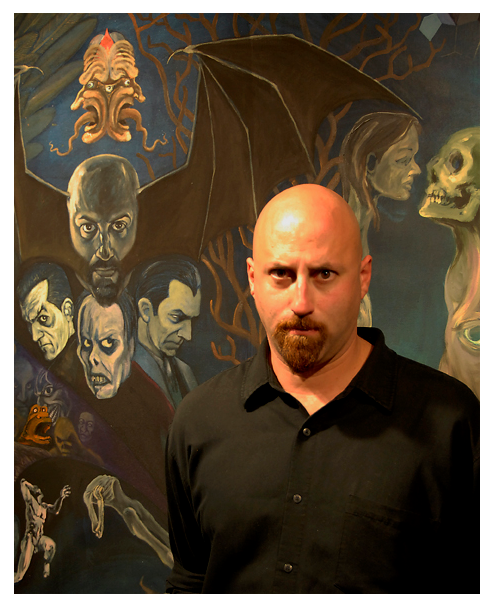 I chatted with “monster boomer” Frank J. Dello Stritto, co-author of “Vampire Over London: Bela Lugosi in Britain.” Dello Stritto is also an essayist on classic cinema horror. Many are compiled in a book, “A Quaint & Curious Volume of Forgotten Lore.” Dello Stritto reminds us that Lugosi — a veteran of more than 100 films — only played a vampire in three — twice as Dracula. 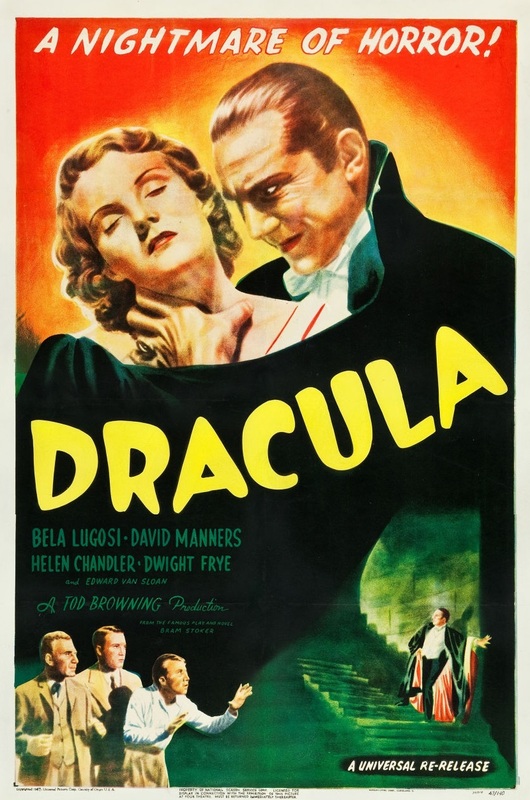 Part of Lugosi’s success as Dracula, he says, is that the vampire seems to be from another era. “(Lugosi) put into his performance a lot of subtle touches to make Dracula seem from another world: the odd pace of his speech, the use of his cape, his very slow movements compared to the other cast members’ … A lot of actors who play Dracula are ordinary men trying to appear extraordinary, and not quite succeeding,” explains Dello Stritto. “Lugosi’s character is like Dracula himself — an extraordinary being trying to appear ordinary, and again not quite succeeding.” I have seen “Dracula” scores of times, and Lugosi is the key to the film. He is a tall, courtly, menacing figure who promises a fate worse than death. And that is the appeal of these early horror films compared to the sadistic gore-fests of today — a fate worse than death awaits the vampire’s victims. That fate is conveyed to perfection in the scene where Lugosi’s vampire murders actor Dwight Frye’s cringing, pathetic, mad disciple Renfield. Dracula’s exterior is charming. But his filthy interior attracts darkness, fog, storm, chill winds, rodents, flies, spiders, blood and undeath. Dracula made Lugosi rich for a while; but as he said, it was also a curse. He was too often typecast as a villain, or red-herring, in low-budget films. After 1940, he only starred in three top-tier productions. Nevertheless, he was actor enough to give 100 percent in every film. For those whose knowledge of Lugosi ends with “Dracula,” here are a few other films worthy of Halloween viewings: * “White Zombie” — In this creepy 1932 thriller, Lugosi plays “Murder” Legendre, a Haitian Mephistopheles figure who enslaves zombies to work his plantations and factories. A lovesick man brokers a Faustian deal with Legendre to win the love of a girl, with terrifying consequences. This is a very low-budget film that proved to be a monster hit — sort of like “The Blair Witch Project” was 67 years later. Lugosi biographer Gary Don Rhodes has devoted an entire book to this film. * “The Devil Bat” — As mentioned, after 1940, Lugosi made a string of low-budget horror/mysteries for B- and C- movie studios. One of the better ones was 1940′s “The Devil Bat,” from the long-defunct Producers Releasing Corporation. The plot of “Devil Bat” involves a mad, brooding scientist creating mutant bats to kill his employers. Although prominent today, thanks to DVD and channels such as Turner Classic Movies, these films originally played in rural America or small towns. In the big cities, they were often relegated to matinees. So while Lugosi could still be called a “star,” his reputation — and pocketbook — were taking a slow beating. The films lacked the budget, talent and special effects to be creepy, but Lugosi is great. “Even in his worst films, Lugosi often manages to project something memorable and out of the ordinary. Lugosi studied and made notes on his scripts, looking for something special that he might get into a part,” says Dello Stritto. Other low-budget Lugosi films worth viewing are “Bowery at Midnight,” “The Corpse Vanishes,” “Voodoo Man” and “The Ape Man.” * “Abbott and Costello Meet Frankenstein” — This 1948 horror-comedy is a great film to introduce Lugosi to younger viewers. As Count Dracula, he is a magnificent menace. His strength? Lugosi keeps Dracula in character, and never allows the monster to be laughed at. The humor comes from the reactions of Abbott and Costello. Also in the film are Chaney Jr.’s wolf man and Glenn Strange’s Frankenstein monster. This was Lugosi’s final major Hollywood film. It was a hit and rejuvenated Abbott and Costello’s career. Unfortunately, Universal decided Lugosi deserved no credit, and he could not find another big-screen role for four years. * “Bride of the Monster” — This is a terrible movie, directed by the infamous Ed Wood — immortalized by Johnny Depp as the worst director ever. However, if you appreciate Bela Lugosi, see this 1955 film. It is his last starring role, and it will move you to see this frail, emaciated, drug-addicted old man giving it his all in this micro-budget film. After production wrapped, Lugosi checked himself into a rehab center to battle a 20-year addiction to painkillers. As bad as the film is — a photo enlarger is an atomic ray, stock shots don’t match, hokey dialogue, amateurish acting, a broken octopus machine — like most of Wood’s films, it is strangely watchable. The best you can say about Ed Wood is that he was both bad … and unique. Appreciating Bela Lugosi is a trait best learned early, explains Dello Stritto. “It pays to get hooked on Lugosi when you’re young. That’s when a viewer is most easily swept up by his particular energy. For that reason, ‘Abbott and Costello Meet Frankenstein’ cannot be overestimated in its importance in perpetuating the legacy of both Lugosi and the classic monsters. For me and countless others like me, this was the movie that hooked us as kids and made us come back for more.” But it’s not too late for even adults. If you haven’t spent some time with the screen’s greatest monster, this Halloween season is the perfect first date — just watch your neck. Gibson is the Standard-Examiner’s assistant editorial page editor. He can be reached at dgibson@standard.net.